Innovative all-in-one™zoom integrates state-of-the-art optical design, PZD (Piezo Drive)*1 and Tamron’s exclusive VC (Vibration Compensation)*2 system to achieve superb image quality in a remarkably compact, lightweight package. 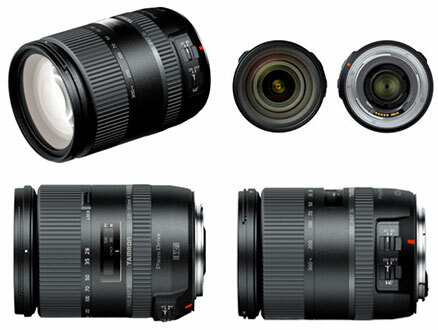 February 6, 2014, Saitama, Japan - Tamron Co., Ltd. (President & CEO: Morio Ono), a leading manufacturer of precision optics, has announced the development of 28-300mm F/3.5-6.3 Di VC PZD (Model A010), an advanced new all-in-one™ zoom lens for full-frame DSLR cameras. The lens sample will be on display at the Tamron booth at the CP+ 2014, which will be held from February 13 to 16 in Yokohama, Japan. 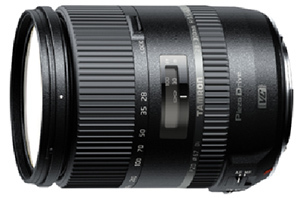 Having revolutionized the optical design of the previous 28-300mm (Model A20), Tamron is developing a powerful new, high-power zoom lens for full-frame DSLR cameras that enhances image quality and incorporates the PZD (Piezo Drive)*1—a standing-wave ultrasonic motor system optimized for swift, quiet AF—and the acclaimed VC (Vibration Compensation)*2 mechanism in an amazingly compact configuration. Featuring a new, sophisticated external finish, this lens complements the performance and style of full-frame DSLRs, while delivering the practical advantages of an all-in-one™zoom lens.